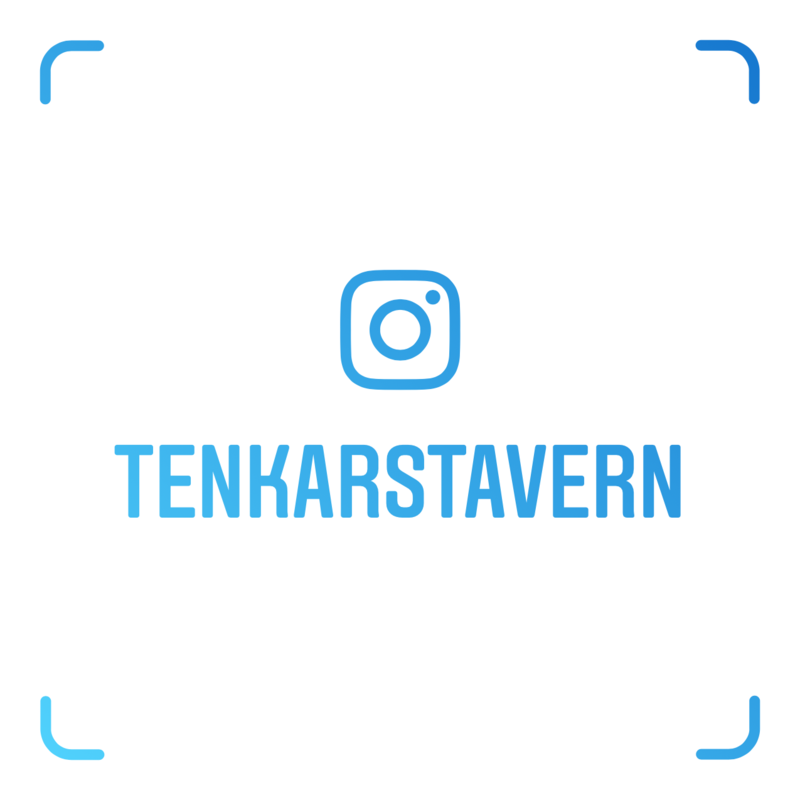 Tenkar's Tavern: Ken Whitman - You've Been SERVED! So we're celebrating Xmas in April this year then? Good to know. Glad it's out there. Knew it was coming for a few weeks. Wasn't involved personally but was glad to see this development. You're not involved in a lawsuit filed on your behalf? How does that work? When Jolly said he was 'not involved personally', meant that Jolly was not the one making or filing the lawsuit. I did contact Jolly in advance, since I will probably need to request a number of documents from him and his company as exhibits, and wanted to make sure it would not be a problem if those contracts, agreement or communications became public. We know you are lurking Ken, let's hear your threats, insinuations and accusations of legal action now for defamation. You keep saying there are two sides, well looks like the courts will get to hear your side. Do us a favor, represent yourself. I'm not fluent in legal, but that looks like a civil action, not a criminal action - am I reading it correctly? Correct, this is a civil action. It is possible that whatever comes out in discovery could get one of the authorities to file charges, and that could be a criminal if some authority (local DA or state AG) makes a case against Whitman. "Hi! Are you Ken?" "Yup." "You've been served." 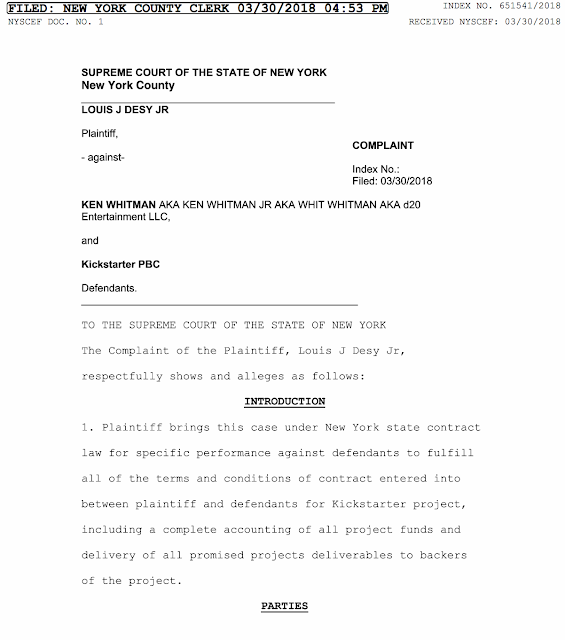 And maybe this development will encourage more of Kenny Kickstarter Screwees to file suit as well. Has anyone posted this to Kenny's various Kickstarters? Surprisingly, I am told by the process sever that Whitman was polite, and even said 'Thank you'. It is possible that Whitman did not know what was about to be presented to him and thus was taken by surprise. I was concerned that Whitman might try to physically bully any process server and warned the company in advance of that possibility plus recommended that they might need to make a video of service on Whitman, in hand, so Whitman could not try to claim that he was never properly served. It's always entertaining to read the banter back and forth between Ken and those who don't like him, so I'm waiting on pins and needles for it to start. Will there be a class action lawsuit? At this point I am the only plaintiff named, but I do make reference to the entire project, including the part about returning any of the unused funds from the total of about $70K raised. I couldn't open the whole set of documents and didn't see a monetary amount. How much is the lawsuit for? I am asking for a full accounting of the $70K, with any money not used on the project returned; PROVIDING the raw footage is delivered. And, y'know, it couldn't happen to a nicer person. I don't know about you, but I'd be happy if the main outcome would be to have all the raw footage of KODT (& Spinward Traveller) released to someone who could edit it into something reasonable. This guy has made doing what I do on kickstarter more difficult than it should be. I bet. Rubes like him and Gary Simpson (Hunter's Mark) have screwed individuals, small publishers, and businesses for not insignificant amounts of money. 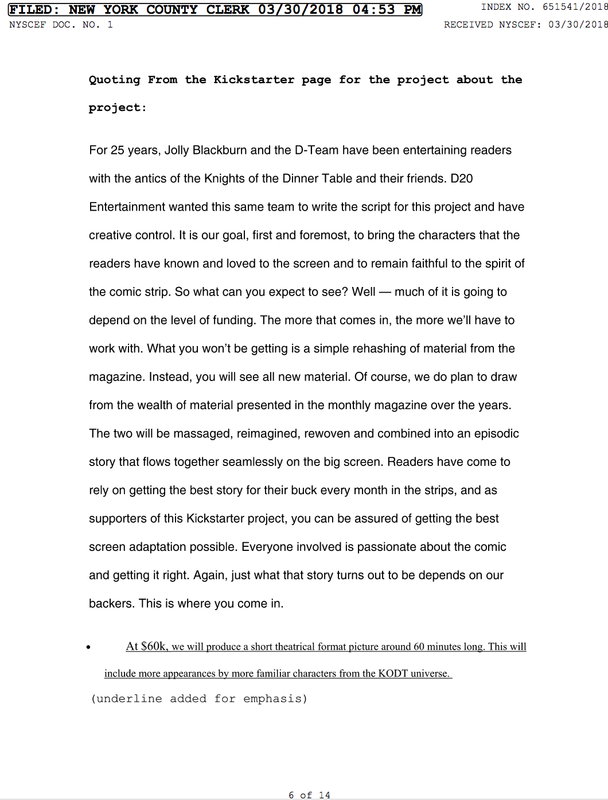 The ill will and negative press generally towards Kickstarted projects (if not Kickstarter itself for not protecting the backers in any real way, shape, or form) generates a mentality that only projects that are pretty much already done will even get eyes on them, which is sort of not the point of KS. LouisDesyJr, have you considered adding in ALL of Ken's other KS projects to this suit in order to make it more heavy-handed? I got left out in the cold on his "Pencil Dice" project, and like many others, got into a Facebook argument with him trying to convince him to start giving the money back, even if slowly. He threatened me with all kinds of legal action, and even went as far as to threaten myself with physical harm. He is a tool, and I wold love to see nothing but ruin come to him, and perhaps rot in a cell for a LONG time. I can't directly add the other projects to the complaint, BUT, if Ken co mingled funds from KODT with the other Kickstarter projects, which would not surprise me, then I would have to trace all of the money from everything. In a co mingled situation, I would have to track all collection of money and expenditures in order to be able to separate out the KODT project part of the funds. ualifications to practice law in the Commonwealth." Matter of Prager, supra. G'morning Kenny! We were wondering when you'd show up! Classic Ken Whitman, but that is my Kenney! HI KEN! HOW YOU DOING? REMEMBER YOU TEXTED ME A WHILE AGO THAT YOU WOULD SHOW ME ALL THE ACCOUTNING RECORDS IN COURT? HERE IS YOUR BIG CHANCE! It sounds like we can already tell what kind of gibberish will be in Ken's answer to my complaint, providing he even bothers to file one. It is kind of funny how Ken is always trying to 'gaslight' people into not taking any legal action or trying to file a criminal complaint against him with his knowledge of the law. My favorite 'gas lighting' routine that Whitman keeps using is when people accused him of fraud. Whitman goes on about how intent is an element of fraud, and that he never 'intended' to defraud anyone, so what he did was not fraud. 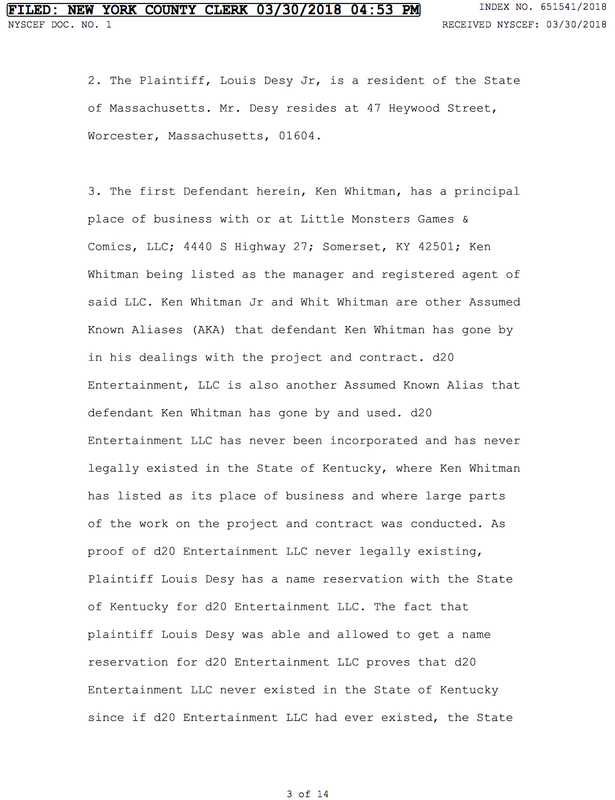 The part Whitman leaves out is that fraud can be implied from actions, such as using the name of a company, like d20 Entertainment LLC, that never existed and use to take the money and make the con sound more legit, to prove intent. Don't worry Ken, the case should not go on for that long, especially if you refuse to file a answer to the complaint. In classic Whitman style, I expect that in a few days Whitman will start running through his 'standard playbook', where Whitman will alternate between taking with people, yelling at people, trying to threaten or intimidate everyone and anyone that he thinks might be able to help him to keep his records a secret and hold hostage the raw footage. Of course, none of that will work since I can now start discovery and get all of the details from the various banks and vendors on what the money was spent on. With written interrogatories and subpoenas being sent directly to the holders of said records, Whitman will not even be able to stop the production of those records! 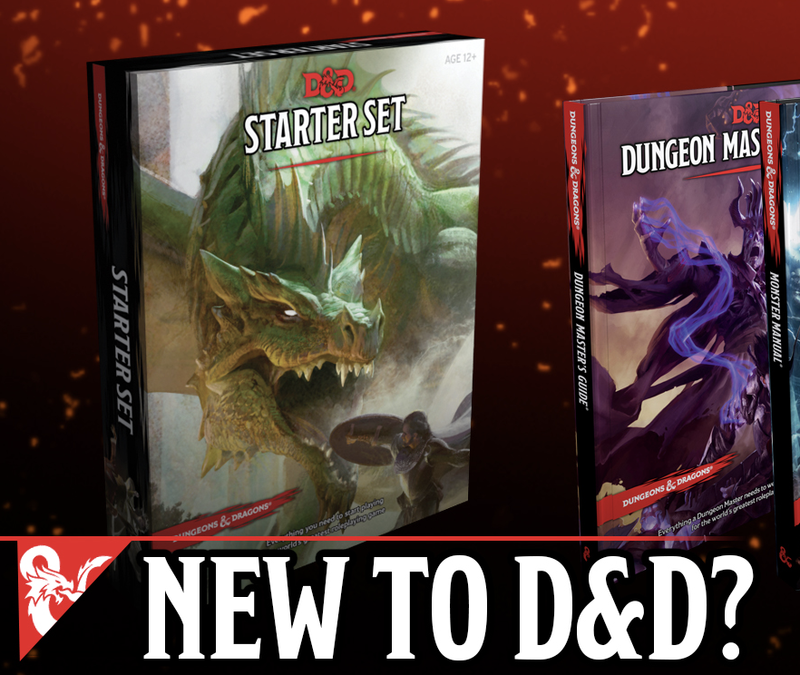 One thing I am interested in seeing is how d20 Entertainment LLC filed taxes for 2012 through today for the funds raised and used on the project, since it never legally existed; i.e. since it never legally existed, it could NOT file taxes. So did Whitman file taxes on his own tax return OR did Whitman just ‘not file any taxes’ and commit tax evasion on the $170K+ in Kickstarter funds raised? Inquiring minds, plus the IRS, would like to know! So, Unknown wrote two sentences above and there are two mistakes, one grammatical and one spelling. Tu quoque arguments aren't valid, "Unknown". "So did Whitman file taxes on his own tax return OR did Whitman just ‘not file any taxes’ and commit tax evasion on the $170K+ in Kickstarter funds raised?" Ooooooooooh! I never even THOUGHT about the taxes owed on $170K! It would be delicious if Kenny thought he could just "handwave" the taxes owed on that windfall. That's a good call on the tax returns. You really seem to be on top of what you need to do via discovery requests. Do you intend to depose Mr. Whitman? Because that might be worth the cost of the recorder. Backer of 2 other KS' here. Is there anyway we can support you in this course of Action LouisDesyJr? A patreon? Gofundme? Anything we can do to monetarily help you get the ball rolling to cover travel or other expenses? I have been wanting to throw money at ANYONE willing to take this guy down and would LOVE to be in the courtroom personally when your action happens. At the moment the only thing to do is to wait and see what, if anything, Whitman files as an answer. I do find it strange, and typical Whitman, is that with the clock running on filing and answer to the complaint that Whitman posts updates about the pencil dice bags. I think most people would agree that if they had such a deadline they would focus on the answer filing first. Kenny, its a good thing you don't own Little Monsters, you just manage it. Isn't that what Marcus told the world? Or is that also a shell game where folks - and the IRS - need to guess the truth? I did wonder about the, plus the process server thinks the store is closed, as in not open for business at all anymore, which would not surprise me. Hey Ken, are you going to file for email notification on the case or what? You got the form to do that when you got served with the summons and complaint. Hopefully more KS backers will grow a pair, and people like Skarka and Siembieda will be sued as well. 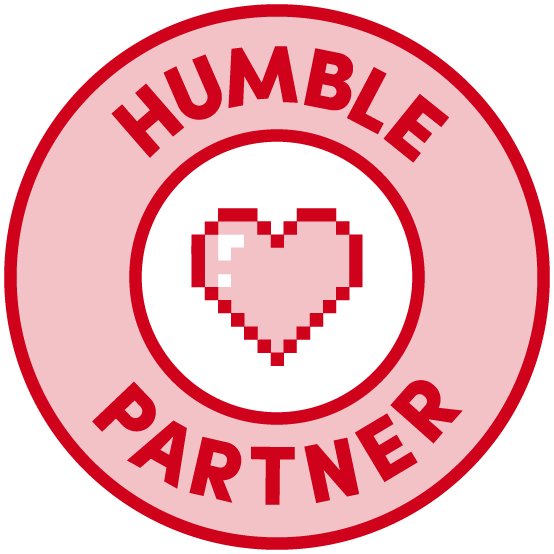 It's time to get parasites and frauds out of the RPG industry. I think the problem for most backers is the time, expense and expertise that is needed. While I can't understand why people in KY or NY don't file a small claims against Whitman, I can see why most people would not do a full lawsuit, especially at the smaller amounts and/or if they are a distance from either NY or KY. The thing I do not understand is why anyone would not file a complaint with the state AG and/or FTC, since that costs nothing to do except a few minutes of their time. I don't think I have many options, coming from Australia, beyond the kickstarter side of things. That is part of the 'genius' of the a Kickstarter scam. 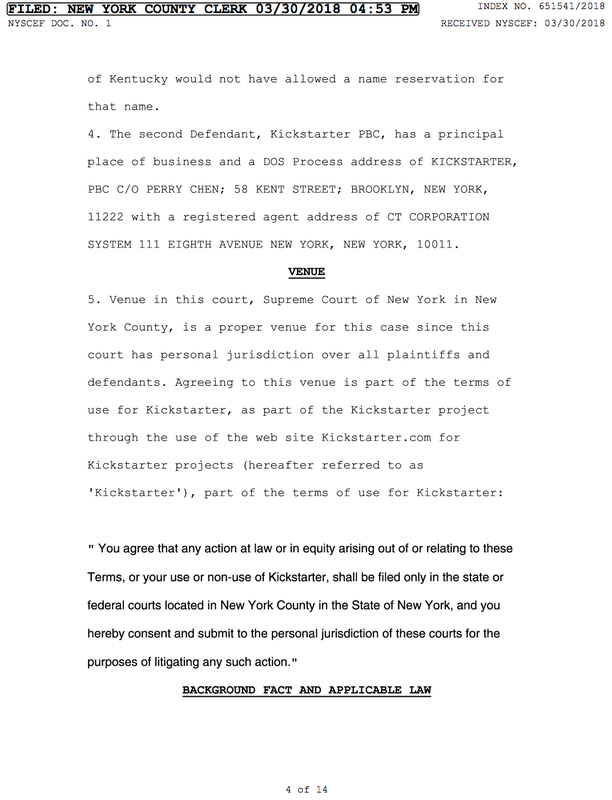 Most backers put up amounts that are too small to make it worthwhile to pursue any legal action, especially if they are far away from any place that would be venue for a case plus the expense of doing a case. If Whitman was smart, have limited the Kickstarter levels to something very low, like $25 or so, instead of having all kinds of higher levels of awards to backers to get as much money as possible. I would be happy to help you out if I could from Scotland Louis. Can I suggest you ask Mr Whitman about the Car Accident he allegedly was involved in on May 28 2016? Apparently he was battling with an insurance company for a payout. Ask him what happened to the money from that. If it comes down to it, I will have to trace all of money, no matter where it came from and where it went. One thing that I realized yesterday is that if Whitman co mingled funds is that I would have to trace all of that, PLUS all of the other funds Whitman got from selling off items that he was not allowed to and additional funds he borrowed from others for the projects. 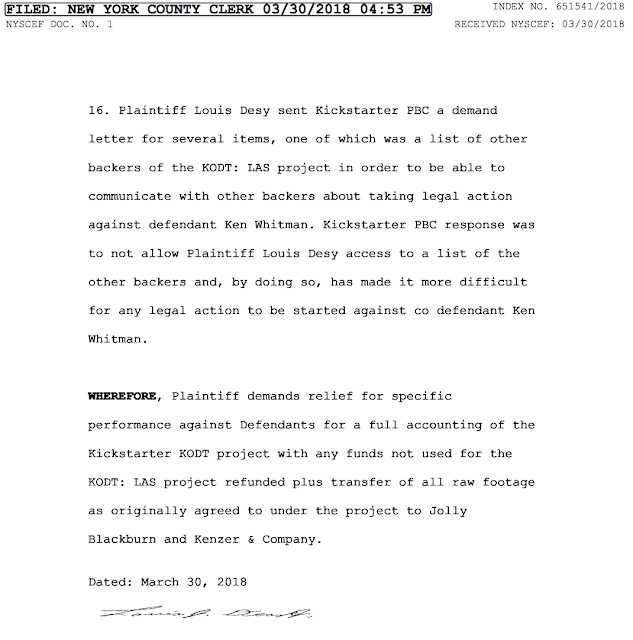 Initally I thought the total source of fund, at worst, would be just all of the money raised from all of the backers for the six projects, but then remembered numerous references about Whitman borrowing additional fund from people and even had a person charge KODT expenses to themselves. A worse though occurred to me is that if (when?) Whitman co mingled funds he could have co mingled funds with the money be scammed out of the Atlanta group, which all would have to be traced also in order to figure out the total sources and uses of KODT funds. On top of all of that, I am starting to wonder what role Marcus King has in all of this. 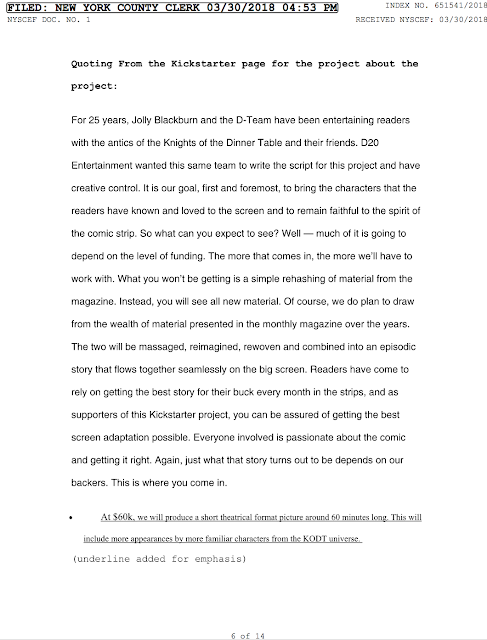 King claims he is just helping a friend, but when people ask that he ask Whitman to post a reply on Kickstarter.com he tells them off, plus King seems to be giving Whitman protection and even allowing Whitman to run other cons out of the second comic book store. i.e. Fake Walking Dead movie items with fake certificates of authenticity, but King takes active steps to make sure there is no discussion on it plus 'his other partner' seems to have no comment or opinion on a known con artist having control of the money and inventory at the second store. 'The Partner' must be a very understanding person or somehow thinks that Whitman will not steal from them even though Whitman appears to have stolen from every single person he has come in contact with in the last few decades. Hey, Ken! You still owe me money from JTAS! I'll settle for enough to buy a cake to celebrate you getting skinned alive in court. Marcus King and Ken Whitman. 1: Why would Marcus King be willing to help Ken Whitman? I could understand that maybe Marcus King is a long time friend of Whitman and King feels he 'owes' Whitman, but even with decades of friendship between them, I simply can not see that one would allow a person like Whitman alone in a store with thousands of dollars of King's inventory, or even worse, let Whitman handle money in the business. Is Whitman fronting for King on some kind of 'dodge', related to the comic store and its inventory or maybe something else? 2: Why hasn't Ken Whitman started stealing from Marcus King? As far as I can tell, Whitman has burned and/or stolen from every single person that he has ever come into contact with since at least the mid 1990s. There appears to be no exceptions, except Marcus King, so far, but why? This is of course pre supposing that Whitman has not started stealing from King and we just don't know it yet. Whitman did seem to get upset when I texted him and asked him 'when are you going to start stealing from Marcus King'? a few weeks ago. September of 2006 Ken Whitman saved my life by talking me out of suicide over a 2 to 3 hour conversation. I have been ever loyal to him for that. Ken never stole anything from me. That may be in part because we are both scoundrels, but may also be because I never backed any of his kickstarters, though I did buy many things from him when he owned Rapid POD. I also benefited greatly from our association by meeting Margaret Wies, Jim Ward, Larry Elmore, Jamie Chambers at the Doe Run Inn, at gatherings hosted by Ken. I love Ken. Hard not to love someone who has helped your life as much as Ken has helped mine. Is Marcus King 100% owner of the comic store(s) or is/was there someone else that shares ownership of the comic store(s) going back to 2012? Article mentions, "King himself came to Kentucky in 2012 and opened up Games and Comics quickly thereafter with a partner. " So, who is (was?) this partner? At the time I opened the store, I was 1% owner of Troll and Toad, partnered with Jon Huston. Is Whitman 'the partner' that Marcus King is referring to from 2012 for the ownership of the comic book stores and would that explain why Marcus King is helping Whitman? I know if I was an owner in the store with Marcus King and someone like Whitman was brought in contact with the money coming into the store, I would throw a fit and wonder what was going on, including fearing that the store Whitman was at was about to be stripped of all inventory in the middle of the night. One possibility is that maybe somehow Whitman is really the partner going back to 2012 and owns part of the comic book stores. An argument that would support such an idea is that the partner's name never seems to be mentioned anywhere. That would explain why Marcus King 'lets' Whitman run the second store; King has to since Whitman owns part of the company. 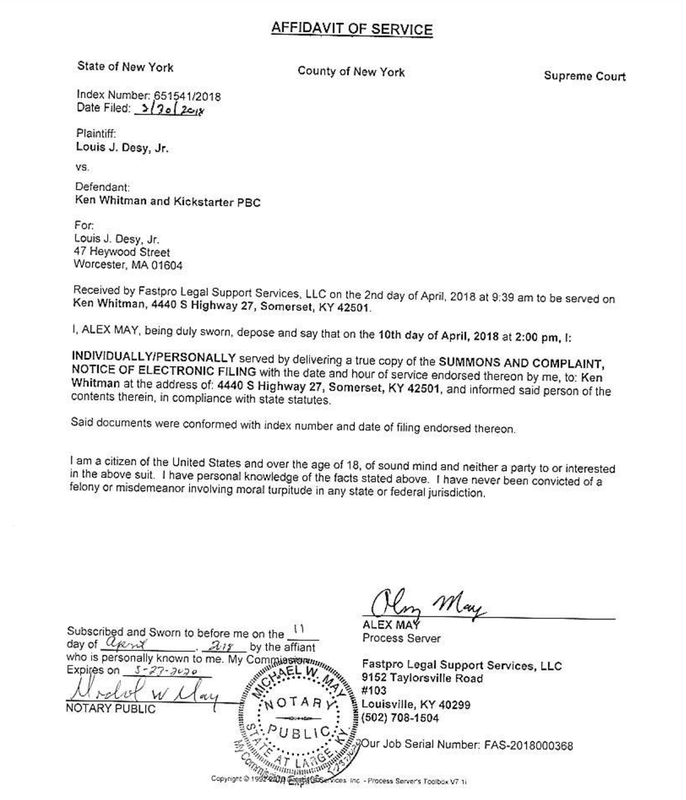 An argument against the idea is that Whitman filed Chapter 7 bankruptcy 11/20/2013 and no where in the filing was there anything about ownership in a comic store. Of course, Whitman could have just kept it out of any such filing, maybe Marcus King never knew about the filing. It is even possible that Marcus King still does not know about that filing or King did know and helped hid Whitman's value in the comic stores. One idea is that Whitman was the partner mentioned going back to 2012, and King agreed to never mention Whitman in order to hide Whitman's equity in the store from the bankruptcy court in the filing. If true, that could explain why King never seems to name who his partner is. The problem with such an idea is that Whitman would need to 'keep his mouth shut' about owning part of a comic book store, and anyone who knows Whitman over the years know that Whitman loves to boast about 'how successful' Whitman is at any and all opportunities. Being part owner in 'successful' comic book stores would certainly be a good prop to build on for other things. Another idea is that there is mention about Whitman buying the second comic store mid 2017, and Marcus King posts about how happy he is to get himself and his partner out of $31,000 in lease payments. Within this posting is a photo of the Facebook post claiming that the sale of the second store is going to get Marcus King's partner out of $31,000 in lease payments. That would explain why the terms were 'zero down', since it looks like it was not even covering its lease payments each month. A question I would have about this, is that normally, most landlords would NOT release the original lease holder, but maybe Whitman worked his magic and convinced the original lease to be signed over to him, which begs the question as to why Whitman would agree to take over a lease on a money losing store? So Whitman could be in even more debt or is Whitman volunteering to do a 'bust out' on Marcus King's behalf? Or is the takeover of the lease by Whitman just part of a plan to dump liabilities from Marcus King onto Whitman and keep it so Whitman shows no income or assets to collect from but King would hold the assets for both of them? In this theory, Whitman taking over the lease could be a payback for King keeping Whitman's ownership in the comic store secret during the 11/20/2013 filing, and would explain why Marcus King and Ken Whitman work together. They have done so much shifting back and forth of assets and liabilities plus hid things from the bankruptcy court and others, that both of them would be in serious trouble if the whole thing fell apart for whatever reason and it got found out. I have never been partnered with Ken Whitman in any financial sense. I did sell Ken the store. I have documents (two) which detail all of our financial dealings, none of which started before he moved here (London, Corbin, Somerset area). I have previously offered assistance to Ken in helping to complete his kickstarters. I offered to employ him at $8 an hour for 20 hours a week, while he worked exclusively on KODT/Traveller projects (to start with) while also employing him for 20 hours while doing other projects (for me, like making magic card repacks or other retail associated tasks). More recently, I told Ken I would buy a Pencil-Engraving (if that is the term) machine, which he estimated to me costing $500+ (but less than $600). My proposal included me buying the machine and the pencil blanks, he would then make half of the pencils I bought for me to resell, to cover the cost of the machine, and future pencil purchases) and use half the pencils to begin fulfilling his past pencil dice kickstarter obligations (this did not include me paying him to do the labor on this project). He did not follow through on this offer. Ken is my friend. Or, maybe at this point, was my friend. He now blames me for selling him the store and it not succeeding, thus causing him not to be able to fulfill his financial obligations. 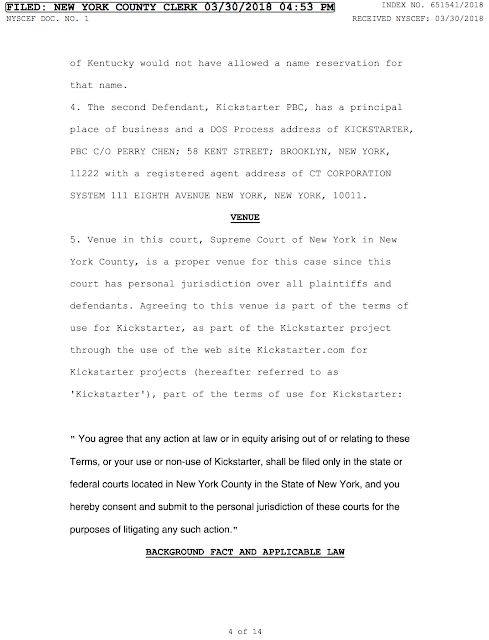 For the record: Never made a penny from Ken's kickstarters, was never involved with them, never. Would still be willing to employ Ken at my standard wage for new staff ($8 an hour) to work 20 hours a week on my projects, and 20 hours a week on his kickstarters. But, there never was a financial link or partnership dating back to the above speculated 2012. In fact, in 2012 I was employed by Troll and Toad, and did not own anything other than a sliver of interest in that company. It is disheartening to read people like Louis speculating that I am some sort of shill or worse. I have been 98% completely candid about my dealings with Ken, and my loyalty to him has always been about him saving my life in 2006. But, if you want to look at my tax records, I imagine they are a matter of public record, and could be accessed by the freedom of information act. At any rate: I'd appreciate it if you guys gave me the benefit of the doubt. I operate a semi-profitable business where I employ more than a dozen people, on the books, and pay my taxes and my debts, and have never fucked over any one of you. Ask yourself how loyal you would have been to someone you consider to have saved your life... and then see if you think I have been shilling for Ken, or whether I have been legitimately trying to help someone who seems to need, if not want, my help. btw, if your attorney requests my two signed documents involving Ken Whitman, I will provide them. I wish that I could have been a better benefactor to Ken, who was one of the best friends a person could have. And, it breaks my heart he now counts me in the column of people who have ruined him. As an additional note, Whitman gives the impression that d20 Entertainment LLC was operating for a period of time before doing the Kickstarter projects, but no where in the Chap 7 filing is there anything about d20 Entertainment LLC, so either d20 Entertainment was not doing anything and/or didn't exist in any form, even a fake company, on the filing date, even as prop to make the cons sound more legit or Whitman committed perjury in the filing. 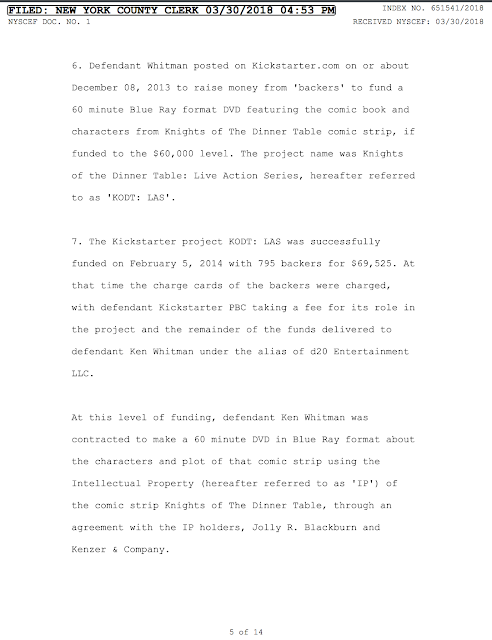 It is interesting that Whitman's Chapter 7 filing was 11/20/2013 and only 18 days later Whitman starts the KDOT Kickstarter project, with getting his hands on the $70K another 59 days later (funded Feb 5, 2014)! I think a deposition and/or written interrogatories would be interesting from King to see what is going on, and if King somehow had a part in the whole scheme of Whitman's, plus whatever else 'is really going on'. The only interesting document is docket #1, the initial filing. It has all of the schedules. Can you find out any info on what this is about? Reading through Docket1 shows that Ken and Cherie have both been in lawsuits. I'm digging through this for more bits but I wonder what that case was about. Another fun fact: Ken Whitman had 226,463.02 in debt he was trying to wipe away. That's NOT counting a house, that's counting all his companies debts, holdings, etc. His 170k windfall on KS must've made him feel like a rich man. It looks like it was just some debt, maybe a credit card. It was part of the Chap 7 filing so it got discharged. Cherie is probably part of the court cases since I expect she appeared to be earning most of the income and I expect Whitman was using her income to get credit for use in his businesses, hence she got stuck for the debts also when Whitman couldn't or wouldn't pay the debts. As an update. $111K of that was secured loans, which would be the house, and I think, two cars. I think that only one of the two cars were held onto with the other being returned. The house had about $18K in equity. Of course, that still leaves a lot in unsecured and many of those look like it was from Whitman's various business ventures. I am sure you probably already have heard, but I was sent a screen shot. Apparently, Whitman says that he is going to sell the comic store and move. Of course, at this point it is on Whitman to keep the court updated as to where he can receive notices. Moving will not does not stop the case or stop discovery. I think that Whitman is lying and still going to be around in the area but the store will just be in someone else's name. Of course, through the discovery process I can find out the details on the 'new' owner to see how legit the sale really is, plus trace where any funds that changed hands went. There are reports that Whitman has posted on social media that he sold the comic store yesterday and will be moving to pursue a career in the motion picture industry. As soon as Whitman files his answer to the complaint, I can start discovery. Whitman said that if I went through with the case, that it was 'pointless' because he would just file bankruptcy. 1: If the project can be proved to be fraud, that is NOT dischargable in bankruptcy. 2: Whitman would need a way to file for d20 Entertainment LLC but can't, since it never existed and can't even be filed for since I hold the name reservation. But at the same time, Whitman is personally responsible for the debts of d20 Entertainment LLC. Great job, Louis. Keep it going! I am shocked, but Whitman just filed an answer at 10:08pm; and even signed up for email notify! Louis, please call the store here and talk to me, or contact me via email. I'd prefer you be able to quote me, rather than speculate about me. Whitman filed an answer to his complaint Saturday (April 28) night. He also sent me a text message claiming he is moving away, which seems odd if the case is dismissed. I just sent Marcus an email asking about buying the note on the comic book store, Little Monsters. 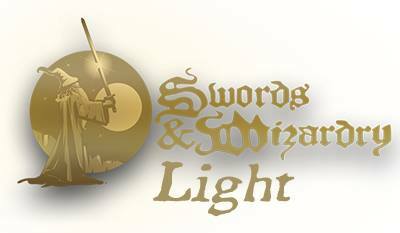 As an update, I had tried to get Kickstarter served this week, just before July 4, but there was no officer at the company to accept service. It has been arranged that corporate counsel will be there 10am on Monday, July 09, 2018 at accept service. After that I will file the proof of serivce and then both defendants in the case will have been served. It looks like Whitman and his friends are all in the beginning stages of a 'full meltdown'; which is not unexpected in my experience. I have no idea why Whitman will simply not do what he was already paid to do, and would cost him nothing at this point; Whitman acts like people are stealing from him or something plus one wonders why the people around Whitman are protecting him and enabling Whitman's behavior. If a class-action lawsuit were set up, it would be the classiest. I have been victimized with false claims that Kenny was able to furnish a Spinward Traveller DVD and the Deck Dice in those two Kickstarters. I sent ample money which I could have used on real games instead! To not have any DVD after almost FOUR YEARS, and to hear other ALLEGED stories about Ken suggestive of ALLEGED massive sociopathy, is disturbing. I do not know if you saw the update, but Whitman left the two 4TB drives (with everything on it) with a friend when he went off for several months, pre Gencon 2015. Then about a year ago, they were lost in a barn fire where everything of the friend was stored, including a bunch of stuff and props for movies. Whitman hid all of this for at least three years. If you go look at #conmanken on this site you will see the later postings about it. I also filed a memorandum in the case detailing all of this. Small hint he ditched that shop and moved it to another location in someone else's name so he could Dodge it he owneds pretty much nothing, it's all in someone else's name.